The popular mobile game is making a splash this summer. If your kids are into Pokemon Go, be prepared to take some extra trips to the local park. Pokemon Go’s Water Festival begins June 7 at 1 p.m. PT and runs through June 21 at 1 p.m. PT. 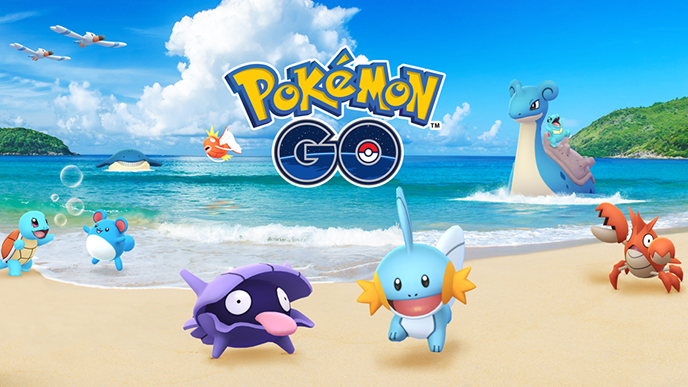 The in-game event will let players encounter more Water-type Pokemon than normal for a limited time. This event adds a special new Shiny Pokemon to the game: Shiny Shellder. Shiny Pokemon are extra rare critters that are typically hard to find outside of Pokemon Go Community Day events. With Water-type Pokemon appearing more frequently than normal during this event, that means Shiny Shellder should appear more frequently as well. During this event, players will earn three times the normal amount of Stardust when they capture Water-type Pokemon. Stardust is used to make Pokemon stronger for battle. In addition, the game’s 2km eggs will have a chance to hatch Water-type Pokemon like Totodile, Mudkip, and Corphish during the Water Festival, and players will earn double the normal amount of Pokemon Candy and Stardust for every egg they hatch. Finally, the Water Festival will see Water-type Pokemon, including the Legendary creature Kyogre, appear in Raid Battles at nearby Gyms. If you or your kiddos can successfully defeat Kyogre during the event, you’ll have a chance to encounter its extra special Shiny form.